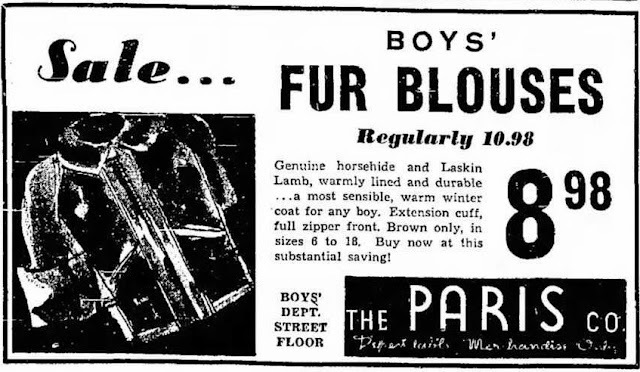 Production of grizzlies dropped off after the winter of 1937/1938. 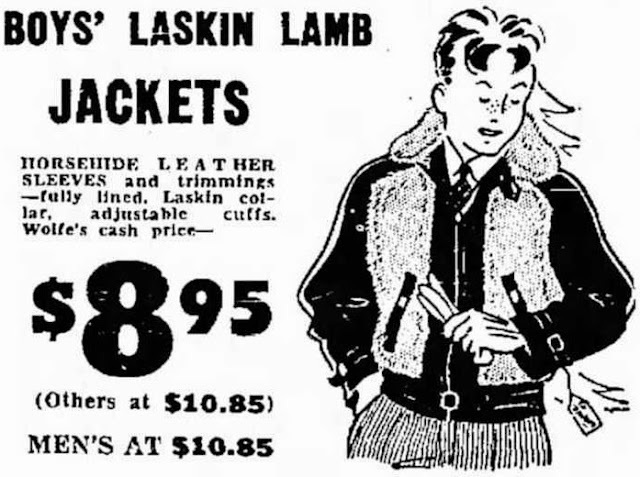 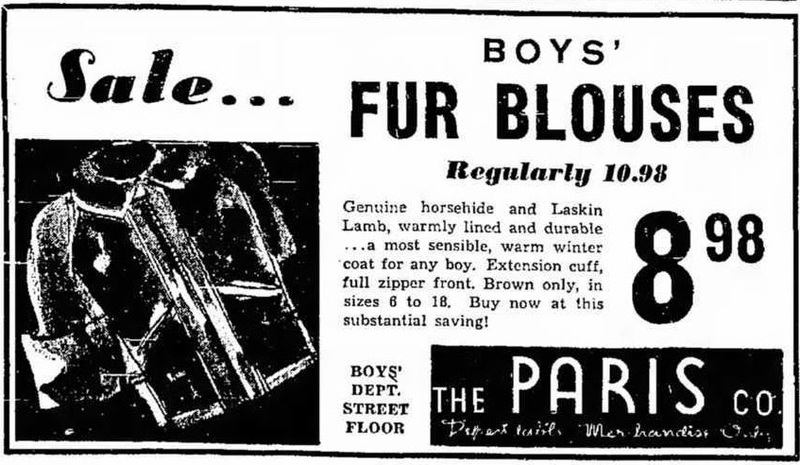 By 1939 and 1940, stores were advertising final clearouts of their remaining Laskin Lamb Jacket stocks. 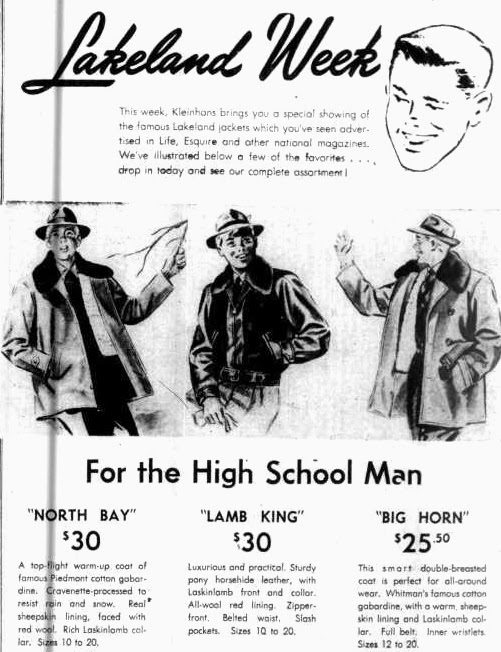 After more than five years off the market, Lakeland attempted to bring the style back in 1946 with the "Lamb King". 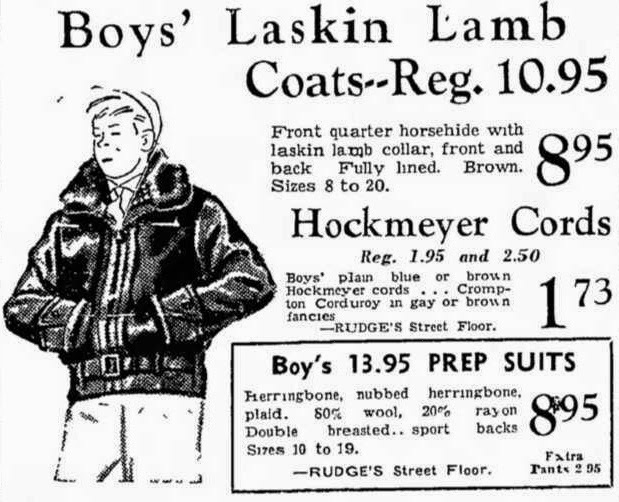 Stylistically, this jacket was unchanged since the grizzlies of the early 1930s. Although this model was advertised in various places, I wonder if it was actually of new production, or if it was pre-war deadstock Lakeland was trying to move on. 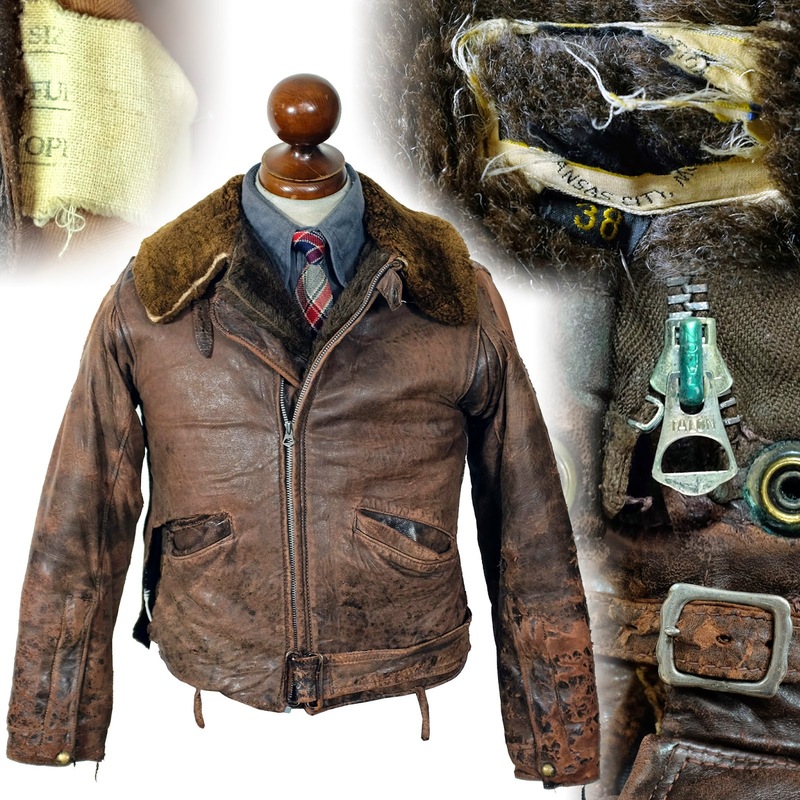 This would mark the last time the "grizzly" would be seen in mainstream fashion.